Like this? You can now buy this print in our gallery. Yes, Tom Peters is where I first came across the phrase… then I decided to Google it, just to make sure. I added your widget to my bloggy. You have inspired my post that I will write today! I love it! I would buy a bottle of Stormhoek with this label on it! A nice little rose for that summertime romantic picnic…Your best one yet! I love this. I made it the wallpaper of my computer at work immediately. I would buy anything with this on it. Stationary, wine, underwear, pint glasses, trucker hats. Okay, maybe not trucker hats. I really didn’t know you had it in you, Hugh. In fact, I’m still not convinced. Regardless, I’d buy the bottle with this label. I’m the only one looking at this cartoon with a dirty mind, right? Hey Hugh, it took me a few days to absorb this one. I think that’s what good art is all about. And mebbe this is what web 2.0 is all about? Or perhaps I’ve just been to absorbed in the Social Networking thing lately. PS I can’t decide whether this, or one of the particularly nasty ones, should be my business card. how would the world be than? 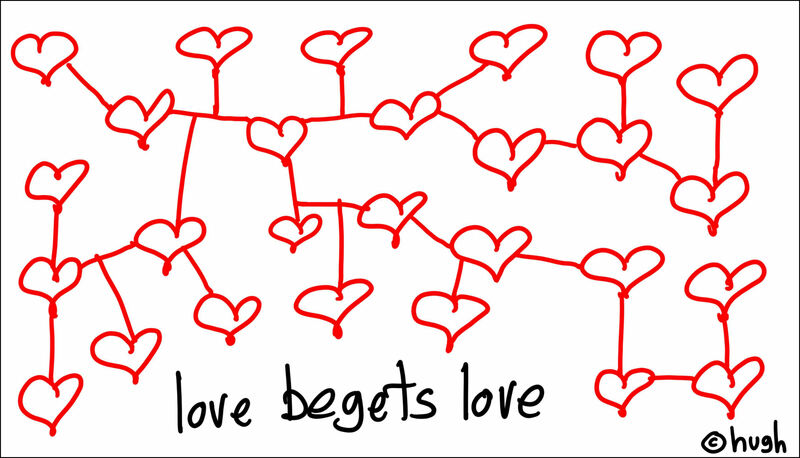 Can the phrase “Love begets love” be found in the bible or is it only authored by Virgil? I would love to put this on a shirt, would you mind? Your work has inspired me. 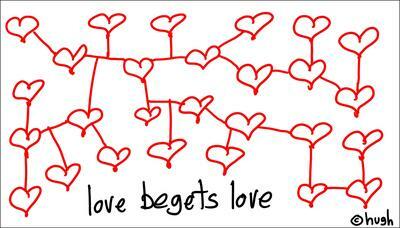 Life is about loving.